Welcome to the Falls Pinnacle in charming Northeast Minneapolis! 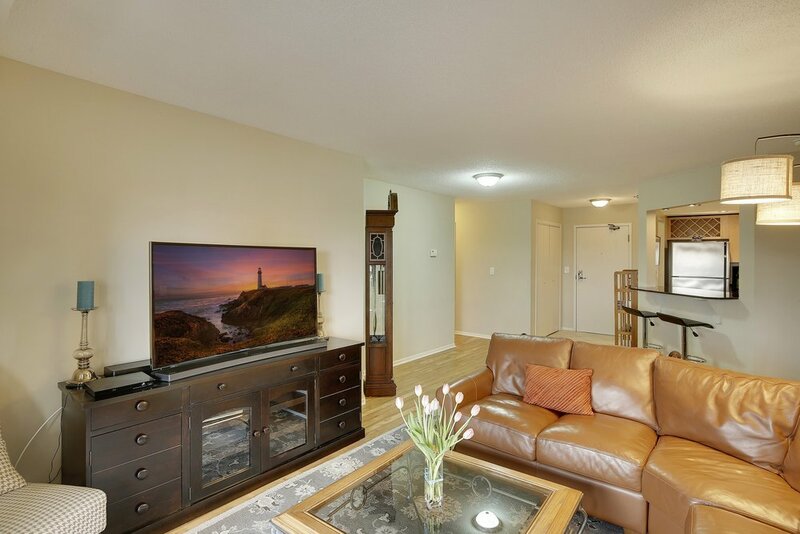 Welcome to this 2 bedroom 2 bath unit with an open layout and updated finishes. Walk to your favorite Northeast shops and eateries or take, bike to St Anthony Main, enjoy the view of the Stone Arch Bridge from your private balconies. This sky-level condo features a stunning view of Downtown Minneapolis, where you can view fireworks from Twins games or the annual 4th of July fireworks on the Mississippi. This condo has it all, light, location, layout, updates, and so much more. Just move-in.